File Luis & the Aliens under child friendly film fare. It has a pleasant purity and is innuendo free and will play well with a younger audience. Its innate charm comes from a simple structure and a non-english origin. The story has been done many time before, a young boy is picked on at school for being different and ignored by his parental unit, in this case his kooky scientist father. The father claims to have had a alien encounter in his youth and has dedicated his life to proving their existence. He does so to the exclusion of his son Luis. 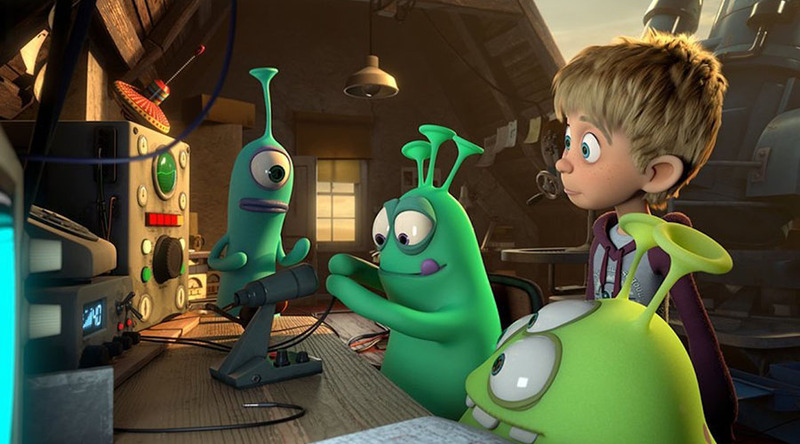 Cute and cuddly aliens land on earth to find goods advertised on a home shopping network and befriend Luis. Through their course of action, human and alien become friends and learn from each other. Luis also grows up and become more assertive. This is a safe film for parents to take their young ones to as it’s entertaining and poses few embarrassing questions at its conclusion. By film’s end the craziness get ramped up to large proportion and shows a delightful level of imagination.